The Collection Division of the IRS composes of Revenue Officers whose job is to collect outstanding IRS liabilities from taxpayers as quick as possible. These Revenue Officers have access to intelligence collected by other divisions of the IRS and they will scope out your financial moves, and garnish your wages and other sources of income, and seize houses, cars and bank accounts. The most common sort of collection case involves a small business that has fallen behind in payment of withholding taxes. A Revenue Officer’s inventory is brimming with cases like these. Revenue Officers are told to go out and use a firm enforcement image in collecting the outstanding IRS liabilities and also be mindful of statistics compiled by the IRS to measure the Revenue Officer’s effectiveness. The IRS will maintain statistics on seizures of property, levies conducted and case status including the shut-down of a business. So when a business continues to ignore the IRS or the business is not paying its liabilities as quick as the Revenue Officer would like to see, that Revenue Officer will now change his stance from collecting the tax to making the business a statistic by shutting it down. If you think I’m exaggerating, listen to this true story of how the Feuer Trucking Company of Yonkers, New York, was closed by IRS agents. Two and a half years ago prior, Feuer’s owner admitted to his employees that the company was hauling more red ink than anything else. Feuer was two million dollars in debt – and half a million of that was owed in back taxes to the IRS. The taxes plus the heavy interest payments marked Feuer for bankruptcy. To save their jobs, many of the employees got together and offered the owner $25,000 for the company. The owner accepted. Feuer Trucking began repaying its debts both to its creditors and to the IRS, negotiating installment payments of $3,000 a week to pay off back taxes while it continued to pay current taxes. But because of the high interest rates and penalties the IRS was charging on the old taxes – 26% – the IRS debt was growing faster than Feuer could pay it off. It passed $800,000. Just before Christmas the IRS struck. Revenue Officer Donald Raftery seized the $60,000 in Feuer’s bank account, and notified Feuer’s customers to pay their bills not to Feuer, but directly to the IRS. He also demanded a down payment of $400,000 on back taxes. Feuer didn’t have it. So the next day a squad of IRS officers backed up by a small army of U.S. marshals, swooped down on Feuer. Pay up the $851,000 in back taxes, the officers barked, or we will seize and sell everything. Of course, Feuer still didn’t have the money, so the IRS Revenue Officer tagged everything in the office for seizure – including desks, computers and file cabinets. Feuer’s office manager confronted Revenue Officer Raftery. “Mr. Raftery, do you recall in July that I told you what we were worth? I spelled it all out to you in black and white on paper?” Raftery agreed that he knew that Feuer, which leases its trucks and building, had less than 10% of the $851,000 in assets.” The office manager then inquired, ‘Why did you take this action?”. But the office manager did not get a response back from the Revenue Officer who just shrugged his shoulders. The IRS eventually returned Feuer’s computers and desks, but kept the $60,000 it had seized from the bank account. Even more devastating to Feuer, the IRS did not return its Interstate Commerce Commission license to operate. Without a license, the trucks couldn’t legally go anywhere. Feuer was out of business. The IRS had shut down a company that was paying current taxes and paying its employees. Fifty workers were added to the unemployment dole. No matter how you add it up, you would think that the government is losing by closing the company down. You would think that this headline report on the blind-siding of Feuer was a shocking expose of an IRS action that turned fifty taxpayers into welfare cases. But the Feuer case is not a story in which an IRS agent has careened out of control or the bureaucracy has mistakenly made a seizure that is not cost-effective for the government. In fact, the IRS never makes calculations of whether closing down a firm will add or subtract from the Treasury’s balance. The Revenue Officers of the IRS Collection Division are among the most powerful people in government. Ten days after demanding payment the IRS can seize a taxpayer’s house, car, land, or business for subsequent sale at public auction. They can serve a levy on a third party, such as a bank, an employer, or anyone who owes the taxpayer money. If they suspect you might skip town without paying they can seize right away. All of this can be done without a court order. And if they so desire they can file a Notice of Federal Tax Lien at the local courthouse, which freezes a taxpayer’s title to property and puts the IRS at the head of the line of creditors. It is highly unlikely that Revenue Officer Donald Raftery when he shut down Feuer Trucking Company got in hot water with his bosses. They probably toasted him with champagne. Besides generating all that good publicity for the IRS, Raftery racked up some marvelous statistics. He seized a bank account, tagged property, shut a business down, and closed the case. I guarantee that the Feuer case had been a thorn in the side of the local IRS office. Group managers hate over-age cases like the Feuer case. They have to regularly file reports on why they continue to carry them in their inventory and send those reports up the chain of command. This makes the chain of command very angry because an over-age case is not a nice clean statistic they can file to show what a good job they are doing – and what’s worse is an over-age case implies that the network has gone soft. So the word goes out to close cases and build statistics. The IRS is a law unto itself. Everything the IRS did to Feuer is legal and the shutting down of Feuer Trucking Company was completely consistent with IRS policy. This report was not a mortal blow against the IRS by unveiling its tactics against Feuer Trucking. Instead, you should think of the report as free publicity for the IRS, opportunely placed just after the week most folks got their W-2’s in the mail and started to look their 1040’s over. The message is this: The IRS is a law unto itself. Watch out! Not every taxpayer is treated equally by the IRS. Each group manager is allowed incredible latitude in interpreting the collection manual, a freedom that gives rise to cavalier and arbitrary methods of enforcement. The IRS looks like an unbeatable army, with intelligence divisions scoping out your financial moves, cracking troops of auditors probing your returns for weaknesses, and a corps of revenue officers winning the property battle by seizing houses, cars, and bank accounts. It should be no surprise that some of the best Revenue Officers have spent time in military service. The IRS Revenue Officer typically shows up to a taxpayer’s home or place of business when the taxpayer is in debt to the IRS. This Revenue Officer will also make a personal visit to a taxpayer’s home or place of business in tax cases where a taxpayer owes the IRS employment taxes. The IRS Agent who comes to a taxpayer’s home or place of business is not making the personal visit to take a taxpayer satisfaction survey. The sole purpose is to collect money for the IRS. Regardless of how civil and pleasant the Revenue Officer initially appears to be – remember they are not there to be your friend – they want your money. Don’t Take The Chance And Lose Everything You Have Worked For. Protect yourself. If you have outstanding liabilities with the IRS or any State Tax Agency, stand up to them by getting representation. Tax problems are usually a serious matter and must be handled appropriately so it’s important to that you’ve hired the best lawyer for your particular situation. The tax attorneys at the Law Offices Of Jeffrey B. Kahn, P.C. located in Los Angeles, San Diego, San Francisco and elsewhere in California are highly skilled in handling tax matters and can effectively represent at all levels with the IRS and State Tax Agencies including criminal tax investigations and attempted prosecutions, undisclosed foreign bank accounts and other foreign assets, and unreported foreign income. Description: Let the tax attorneys of the Law Offices Of Jeffrey B. Kahn, P.C. resolve your IRS tax problems to allow you to have a fresh start. A classic case of the government giveth and the government taketh away. One of the most common web-search phrases entered is this: “Is social security taxable”? The answer: It all depends on your income and filing status. If you file taxes as an individual and your combined income — that’s your adjusted gross income plus one half of your annual Social Security benefit — is less than $25,000, you won’t pay federal income taxes on your benefits. But once you get past that $25,000 mark, that’s when you start seeing taxes. People who earn between $25,000 and $34,000 could have up to half of their benefits taxed, and people who earn more than $34,000 could see up to 85% of their benefits taxed. Things are slightly different if you’re married. Married couples with a combined income of less than $32,000 won’t see their benefits taxed at all. What If You Owe The IRS? The Federal Payment Levy Program (“FPLP”) allows the IRS to levy 15% of your Social Security benefit payments to pay your delinquent tax debt. Mind you that the gross amount of the benefits is still considered as potentially taxable by the IRS. Before your Social Security benefits are included in the FPLP, the IRS will send you a Final Notice Of Intent To Levy. This notice is only issued once and provides valuable appeals rights. You have 30 days from the date of this notice to make arrangements to pay your tax debt before the IRS will begin deducting 15% from your monthly benefit. Keep in mind that the IRS is not just limited to levying social security benefits but can levy other sources of income, issue bank levies and file tax liens. Remember the IRS wants to collect its money as quick as possible. The Final Notice of Intent to Levy and Notice of Your Right to A Hearing is your last warning before the IRS starts levy action. 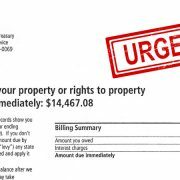 The IRS will give you this notice in person, leave it at your home or your usual place of business, or send it to your last known address by certified or registered mail, return receipt requested. You do not want to ignore this notice. Don’t Take The Chance And Lose Everything You Have Worked For! Protect yourself. If you are in danger of wage garnishments or bank levies or having a tax lien placed against your property, stand up to the IRS and your State Tax Agency by getting representation. Tax problems are usually a serious matter and must be handled appropriately so it’s important to that you’ve hired the best lawyer for your particular situation. The tax attorneys at the Law Offices Of Jeffrey B. Kahn, P.C. located in Los Angeles, San Diego, San Francisco and elsewhere in California are highly skilled in handling tax matters and can effectively represent at all levels with the IRS and State Tax Agencies including criminal tax investigations and attempted prosecutions, undisclosed foreign bank accounts and other foreign assets, and unreported foreign income. In the late 90s and early 2000s, Scott Stapp and his band, Creed, topped charts with songs like “Higher” and “With Arms Wide Open.” The band sold more than 50 million albums worldwide, making frontman Stapp a millionaire who at the height of his popularity had an estimated net worth between $10 and $30 million. Recently, Stapp shocked fans by posting a 15-minute video to his Facebook page, claiming that he’s now broke and homeless. In the odd clip, shot in black and white, Stapp addressed his fans directly; assuring fans that he is drug-free and sober. However, recent papers filed in a divorce proceeding by Stapp’s estranged wife, Jaclyn Stapp, tell a different story: in the divorce petition, Jaclyn Stapp claimed that Stapp had recently been taking a number of drugs, including amphetamines, crystal meth and steroids. Included in Stapp’s litany of accusations is his claim that Internal Revenue Service (IRS) has frozen his bank accounts on a number of occasions. Stapp says that the accounts were frozen “all of the sudden” – although it’s important to understand that the IRS doesn’t freeze your bank account or take your money without proper notice. The seizure is referred to as a levy and it’s rarely a surprise when it happens. For the IRS properly levy you, the IRS must first issue an assessment, explaining that tax is owed. Next, the IRS sends a Notice and Demand for Payment. If you don’t respond to that Notice, the IRS then sends a Final Notice of Intent to Levy and Notice of Your Right to A Hearing (“Final Notice”) at least 30 days before the levy. It is the non-response to the Final Notice (which is sent by certified mail) that now gives the IRS the green light to start levy action. Levies can be placed on tax refunds, wages, bank account or other property. If the levy causes a hardship, you can ask that it be lifted – although any tax obligation would remain in place. When a bank levy is issued, the IRS allows up to 21 days before the frozen funds must be released by the bank to the IRS. The purpose of allowing this amount of time is to allow a taxpayer to show to the IRS the hardship such a seizure would cause or raise other defenses such as the levy was somehow wrongful. If the IRS agrees, the funds would be promptly unfrozen – not take 9 to 10 months as Stapp so claims he was told. Stapp also claims that his banks accounts have been hacked and someone has changed his online passwords and transferred all of the money out of his bank accounts. A bank levy by IRS attaches to whatever funds are in your account on the date of the levy notice. If you have outstanding checks which have not yet cleared the bank, those checks would now not be honored by the bank as the account is now frozen; however, any funds deposited after the date of the levy notice would not be subject to the freeze. If there was nothing in Stapp’s bank accounts when the levy was issued, there would be nothing for the bank to freeze for the IRS. Stapp says, “Between IRS attacking me… between the banks basically saying ‘yeah, all of your money has been taken out of your accounts’,” he has no money. He has, he says, been living in the Holiday Inn and has been forced to sleep in his truck. He has no money for food and as a result, ended up in the emergency room. Stapp says he is looking for an attorney and plans to fight those who are persecuting (his word) him. Remarking on his alleged tax issues, he says that it’s not fair that he has been “targeted by IRS because of a clerical error.” Stapp we are available to help you. Protect yourself. If you are in danger of wage garnishments or bank levies or having a tax lien placed against your property, stand up to the IRS by getting representation. Tax problems are usually a serious matter and must be handled appropriately so it’s important to that you’ve hired the best lawyer for your particular situation. The tax attorneys at the Law Offices Of Jeffrey B. Kahn, P.C. located in Los Angeles, San Diego San Francisco and elsewhere in California are highly skilled in handling tax matters and can effectively represent at all levels with the IRS and State Tax Agencies including criminal tax investigations and attempted prosecutions, undisclosed foreign bank accounts and other foreign assets, and unreported foreign income. Why You Don’t Mess With California – A Primer On California Tax Collection Actions. California is unique in the structure of its tax system. Most States operate under a single tax agency. The Federal government uses a single tax agency called the IRS. But California has three tax agencies! They are the Franchise Tax Board (“FTB”), Board Of Equalization (“BOE”) and the Employment Development Department (“EDD”). The FTB administers the income tax. This tax applies not only to individuals, but also to sole proprietorships, partnerships, estates, and trusts. In addition, the income “passed through” to individuals by Subchapter S corporations and certain other entities is subject to State Personal Income Taxation. The tax is applied to all sources of income unless specifically excluded, including wages and salaries, interest, dividends, business-related income, and capital gains. The BOE administers the Sales and Use Tax. The tax in a specific California location has three parts: the state tax rate, the local tax rate and any district tax rate that may be in effect. Sales and Use Tax is the second largest source of tax revenue in California and is assessed at both the state and local levels. EDD involves payroll taxes which includes all employer paid taxes, State Income Tax Withholding of employees, State Disability Insurance (“SDI”) Taxes and Unemployment Insurance (“UI”) Taxes. The California Tax Agencies can go way beyond liens and levies to enforce collection and put pressure on taxpayers. The FTB publishes Top 500 Delinquent Taxpayers (one list for personal and one for corporate). The FTB is required by law to post this information at least twice annually. California Revenue & Taxation Code § 19195. The FTB will notify each taxpayer by certified mail 30 days before they post their information. As cases are resolved, those taxpayers are removed from the list, reducing the total number of listings from the original 500. Your occupational and professional licenses, Including your driver license may be suspended under Business and Professions Code §494.5. State agencies will not enter into contracts for the acquisition of goods and services with you under Public Contract Code §10295.4. The BOE will revoke your seller’s permit. If your seller’s permit is revoked, you cannot sell your goods. Also, as a corporate director, officer, member, manager, or other person having control or supervision of the filing of returns or payments of taxes, you may become personally liable for any unpaid sales and use taxes, interest, and penalties. Such personal liability for any unpaid taxes and interest and penalties on those taxes is triggered upon termination, dissolution, or abandonment of a corporate business or limited liability company, any officer, member, manager, or other person having control or supervision of, or who is charged with the responsibility for the filing of returns or the payment of tax, or who is under a duty to act for the corporation or limited liability company in complying with any requirement of this part. Section 6829 of the Revenue and Taxation Code. The IRS has the Trust Fund Recovery Penalty (also known as the 100-percent penalty). The EDD has something similar referred to as “CUIC 1735”. But CUIC goes way beyond the IRS’ version. Not only does the EDD assert a full 100-percent exposure of the employees tax withholdings AND the employer’s share of payroll taxes to targeted responsible individuals but also a 10% nonabatable assessment penalty (it should be noted that the IRS version is limited only to the employee’s share of FICA and withheld federal income taxes, roughly 60% of the corporate employer’s overall liability). The two key elements of CUIC 1735 are responsibility and willfulness. The EDD must have both elements before they can make the 100% assessment stick. Any officer, major stockholder, or other person in charge of the affairs of the business can be held responsible. Before the assessment can become final, the targeted responsible person must be given notice, an opportunity for an administrative hearing, and an appeal. If the targeted individual loses his or her administrative hearing and appeal, and does not pay within 10 days after assessment, her or she will be penalized a further 10% pursuant to CUIC 1135. Protect yourself. Federal and State Tax problems are usually a serious matter and must be handled appropriately so it’s important to that you’ve hired the best lawyer for your particular situation. The tax attorneys at the Law Offices Of Jeffrey B. Kahn, P.C. located in Los Angeles, San Diego San Francisco and elsewhere in California are highly skilled in handling tax matters and can effectively represent at all levels with the IRS and State Tax Agencies including criminal tax investigations and attempted prosecutions, undisclosed foreign bank accounts and other foreign assets, and unreported foreign income. Description: Let the tax attorneys of the Law Offices Of Jeffrey B. Kahn, P.C. resolve your IRS and State tax problems to allow you to have a fresh start. What You Need To Know About Levies By The IRS. A Federal Tax Lien just makes sure the IRS eventually gets paid. A levy means now the IRS gets paid. What due process must IRS follow before they can levy? The IRS sent you a Final Notice of Intent to Levy and Notice of Your Right to A Hearing (levy notice) at least 30 days before the levy. The IRS will give you this notice in person, leave it at your home or your usual place of business, or send it to your last known address by certified or registered mail, return receipt requested. The Final Notice of Intent to Levy and Notice of Your Right to A Hearing is your last warning before the IRS starts levy action. You do not want to ignore this notice. Difference between a bank levy and a wage levy. Amy and Bob Bosley were like local royalty — they owned a million-dollar roofing business and were active volunteers in their community. But a phone call one spring morning would devastate their Campbell County, Ky., domain. “Someone is breaking into my house,” Amy frantically told a 911 dispatcher. “Oh my God, he shot my husband!” she exclaimed. Police rushed to the scene and discovered the Bosley’s cabin in shambles. The back door was broken in, shattered glass was everywhere and in the bedroom they found Bob Bosley dead — shot seven times. For years Bob had built up his chimney sweep and roofing business, eventually turning it into somewhat of a local empire with Amy right beside him handing the bookkeeping. But during the investigation into the murder, police discovered something suspicious in Amy’s car: hundreds of unmailed checks to the IRS totaling about $1.7 million in back employment taxes. Weeks before the shooting, Amy met with an IRS agent who informed her they were investigating Bob for nonpayment of taxes. Amy went to great lengths to keep the tax problems from her husband even going as far as to impersonate him over the phone, according to police. But she could not keep this problem away from Bob for too much longer as the IRS agent was going to meet Bob for what turned out to be the day after he was be murdered. While there was a mountain of circumstantial evidence against Amy including a crime scene that looked staged and Amy having the same type of gun used to kill her husband in her purse, prosecutors admitted they didn’t have a slam dunk. But statements Amy’s children, Morgan, 9, and Trevor, 6, gave to police following the murder would become the strongest piece of evidence to show that their mother’s story that an intruder came into the house was false. Their testimony was crucial, but no one wanted to force young children who had already lost their father to testify against their mother. As a result, prosecutors reluctantly offered Amy Bosley a deal — the minimum sentence of 20 years if she pleaded guilty — and to everyone’s surprise she took the deal. Bob’s family is certain Amy did it and speculated that the motive involved that missing money from his company and IRS debt that Bob did not even know about. So when you have IRS problems and we know that murder will not resolve them, how can taxpayers who owe the IRS avoid collection action? You need to have a plan. The Law Offices Of Jeffrey B. Kahn, P.C. can help you negotiate a resolution through the IRS and avoid a forced shut-down of your business. Description: If your business has delinquent taxes or is being threatened with collection action for unpaid taxes, it’s urgent that you speak with an employment tax attorney. The experienced tax attorneys in the Law Offices Of Jeffrey B. Kahn, P.C. know how to keep the closure of your business from happening. What are some of the actions Revenue Officers take to collect taxes? Tax levies are the way that the Internal Revenue Service gets your immediate attention. What they are saying is, We have tried to communicate with you but you have ignored us. Levies are used to seize your wages (commonly referred as garnishment) and whatever other assets you have: Checking accounts, savings accounts, autos, stocks, bonds or anything else that you own. If you have more in the bank than you owe, the IRS will only take that amount to satisfy your liability, leaving the rest for you. A levy is different from an IRS lien. A lien is a claim used as security for the tax debt, while an IRS levy actually takes the property to satisfy the tax debt. Once a tax lien is filed, it will stay on your credit history for seven years which is why if one has been filed, we look to have it released or withdrawn. The Law Offices Of Jeffrey B. Kahn, P.C. can help you negotiate a resolution through the IRS Fresh Start Program which offers a one-time way to avoid collection actions and get tax liens removed from your credit. Description: If you are in danger of wage garnishments or bank levies or having a tax lien placed against your property, it’s urgent that you speak with an income tax attorney. The experienced tax attorneys in the Law Offices Of Jeffrey B. Kahn, P.C. know how to keep this from happening. If you have made a mistake on your tax return that is later discovered by the IRS, you will be charged interest on the amount you owe. In addition, the IRS has the discretion to assess penalties requiring you to pay extra. But this doesn’t mean that you will have to pay these penalties. Working with a tax lawyer in Los Angeles or elsewhere can help in getting the penalties reduced or even dropped. About one-third of all IRS penalties are abated and your odds of having your penalties dropped are much higher if you work with a tax attorney on your case. In order to convince the IRS to remove the penalties they have imposed, you need to convince them of special circumstances that lead to “reasonable cause” for you to not have made a correct filing initially. A death or serious illness in the family. Incorrect advice given by an IRS agent in person or over the phone. The loss of records because of a fire or natural disaster. An error made by your tax preparer. If you feel that you are being unfairly punished for a problem with a tax filing that was beyond your control, your best bet is to contact an IRS attorney from our firm who can review the facts in your case. An experienced attorney with the Law Offices Of Jeffrey B. Kahn, P.C. may be able to help you get your tax penalties reduced or eliminated. Learn about the circumstances a tax attorney can use to plead your case with the IRS. If you owe more in taxes than you can afford, you have several options to avoid going into default and incurring a tax lien or levy. One way to avoid protracted tax levy and lien issues with an IRS lawyer is to enter into a payment plan. Working with the Law Offices Of Jeffrey B. Kahn, P.C. is one of the most effective ways to negotiate a payment plan with the IRS that is right for you. Depending on how much you owe will drive how much verification information/documents that IRS requires to consider a payment plan. If you owe more than $50,000 in taxes, the IRS will require full verification of your financial information. Likewise, if you are self-employed, you can expect the IRS to look at your financial information. No matter how much you owe, the IRS will be looking to set up a payment plan that will erase your debt within 60 or 72 months. If you owe more than you can pay within that timeframe, you’ll want to hire in tax lawyer in Fairfield or elsewhere to work on an Offer of Compromise to potentially reduce your debt. Having filed taxes on time for the previous five years while paying in full and not having requested an installation agreement. Showing the IRS that you are unable to pay your tax bill in full. Agreeing to pay your debt within three years. Working with a tax attorney lawyer is the best way to assure that you get a payment plan that works for your situation and prevents IRS collection action to be taken against you.